I want to tell you about an excellent tutorial that will teach you how to read a micrometer and give you some practice so you can be sure you are doing it right. This is still an important skill even though it seems like everything has a digital readout nowadays. Although it may seem like an inexpensive 6-inch digital caliper can be used to measure almost everything, especially in a home machine shop, a micrometer is often going to be more accurate and be the best or only tool for the job. Digital micrometers are significantly more expensive than digital calipers. There are also different kinds of mics for different purposes and they all have a limited measuring range. So you may need or want to acquire an assortment of mics. That could get pretty expensive if you buy them all with digital readouts, which is probably why there are still lots of micrometers being sold that require you to read the measurement off the barrel and thimble. There are standard and vernier micrometers. 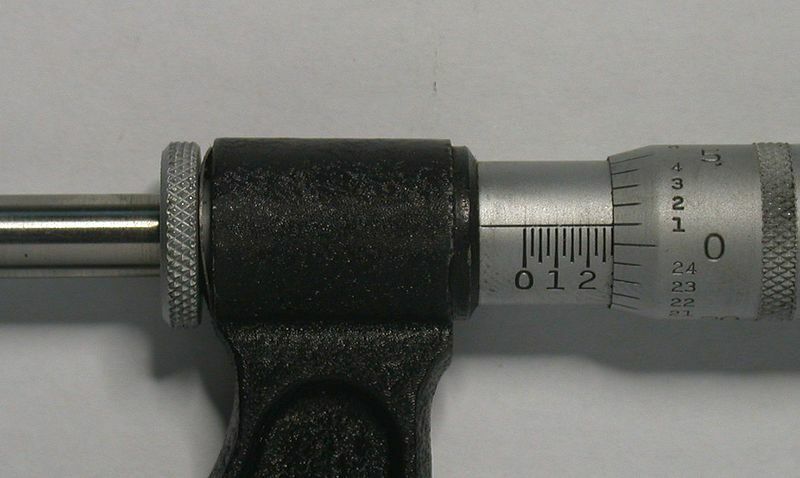 A standard micrometer measures in thousandths (.001) and vernier caliper measures in ten-thousandths (.0001). 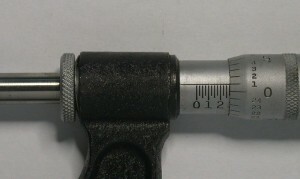 You can recognize a vernier caliper by the extra lines located on the barrel. This web site clearly shows the difference and teaches you how to read both kinds. Toward the bottom of the article you’ll find a flashing link that will let you practice reading a simulated micrometer. I would also like to suggest Wikipedia’s article about micrometers if you would like to learn more about mics, their parts and how they operate. My brother, a tool and die maker who retired when he got fed-up with the company he worked for, gave me a nice assortment of mics made by either Starrett or Brown and Sharpe. But I started out with a three-piece set that I got on sale from Harbor Freight for about $30. I checked them the last time I had access to a set of gage blocks and they were all dead-on. Their fit and finish is very good and they came with a nice storage case. I recommend them if you’re looking for a basic set of outside micrometers to get started with. I have not seen them on sale in my local Harbor Freight store in a while, but HF has started publishing 15% and 20%-off any item coupons in Popular Science, Sports Illustrated, Family Handyman, Field & Stream and a few other magazines.